Fort Wayne chiropractor, Dr. Richard E. Busch, III, was named one of “America’s Best Chiropractors” in 2014 for a reason. This nationally recognized leader in non-surgical treatment of back pain and neck pain has helped thousands of patients find relief from chronic pain. Founder of the Busch Chiropractic Pain Center in Fort Wayne, IN, Dr. Busch's commitment to helping his patients find relief from pain led him to develop the DRS Protocol -- a customized and thorough treatment protocol implementing progressive procedures including spinal decompression for neck and back pain relief without the risks of surgery or addictive pain medications. The DRS Protocol has proven to be a highly successful treatment for chronic pain and alternative to back surgery. 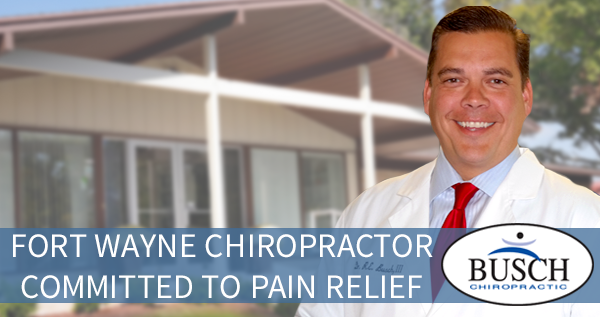 Not only has Dr. Busch helped patients in Fort Wayne, Northeast Indiana, Northwest Ohio, and Southern Michigan get relief neck pain and back pain, he has also trained doctors nationwide in the treatment of chronic pain conditions utilizing the DRS Protocol. Dr. Busch and his team at Busch Chiropractic have dedicated their lives to helping patients avoid surgery and regain their pain-free life. If your life is being impacted by pain, contact Busch Chiropractic in Fort Wayne today today at (260) 471-4090 to find out if you're a candidate for the DRS Protocol. With the DRS Protocol there are no pain pills and no surgery... just proven results.